This class 3V patient came to us in the spring of this year. 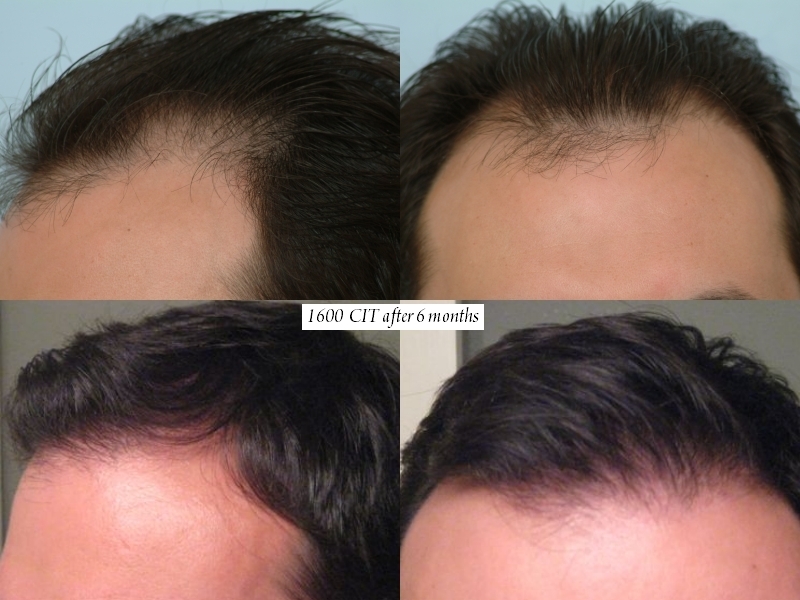 The patient’s goal was to add density to the frontal scalp and rebuild the hair line. The patient has brown hair with well above average donor density of 250 hairs per square centimeter with 180 hairs per square centimeter being about average. The patient was successfully treated with 1600 CIT grafts which allows the patient to avoid the linear scar associated with strip (FUT). Below are photos that depict the results at just 6 months post-op. We expect this patient to see more results in the next couple of months. Generally speaking, there are many patients who desire a much thicker look and are taking the risks associated with transplanting at higher densities. We make our patients aware of the fact that future hair loss may occur at any time in the future. Time will tell if high densities are too aggressive in regard to future hair loss. It is imperative to remember that more than one session may be required to achieve an individual’s goals. This patient is very happy with the new growth and plans to conservatively fill-in the crown later this year. Excellent for only 6 months. » goal was to add density to the frontal scalp and rebuild the hair line. » expect this patient to see more results in the next couple of months. » and are taking the risks associated with transplanting at higher densities. » conservatively fill-in the crown later this year. » Excellent for only 6 months. » » goal was to add density to the frontal scalp and rebuild the hair line. » » expect this patient to see more results in the next couple of months. » » conservatively fill-in the crown later this year. Yes. The new growth has not yet fully matured and may require another 6 months to reveal the most significant change in appearance for the patient. To meet the demand of the frontal hair line, we transplanted single hair follicular units for the most natural result. Many patients who have larger grafts placed on the hair line will often wear their hair combed down so that the frontal hair line is not visible. This patient can wear any hair style and show the transplanted area without fear of being noticed due to an unnatural appearance. Very nice, soft natural hairline. Is he a true Class 3? I forgot who posted this, someone said the genral rule of thumb is 1000 grafts for every increment in the Norwood scale. In other words, most Norwood 1 will need 1000 grafts, Norwood 2 2000 grafts, Norwood 3 3000 grafts. I would assume if this guy was a true Class 3, he would need approximately 3000 grafts to restore his hair, Cole did it with only 1600? This patient has been maximizing medical therapy which has helped to stabilize the progression of hair loss in the crown. The patient’s actual pattern of hair loss is a class III potentially a class IIIv. It’s common knowledge that we regularly transplant fewer grafts to yield most satisfying results for our patients. In consideration of future potential hair loss, our patients have a reserved peace of mind to retain a natural looking hair transplant. I think that it is common knowledge that your clinic regularly produce quality work with less grafts. Thanks to sharing. » » looking hair transplant. » quality work with less grafts. Thanks to sharing. We place a special interest in delivering results with lower graft counts. Patients should be told that hair loss can be a progressive condition and that they should reserve their donor resources at all costs. The primary goal of a patient should be to obtain a natural looking hair transplant. Treatment plans should be consistent with realistic patient goals. 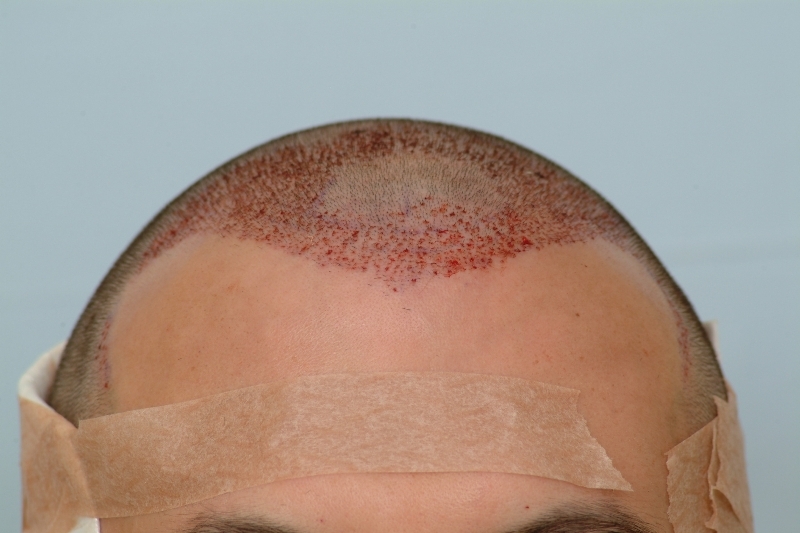 For example, a patient who is a class 7 should realize that there is a possibility of having insufficient donor resources to cover the entire balding area.